Back in 2016, a group of Star Wars fans and filmmakers came together to shoot the entirely crowdfunded Han Solo: A Smuggler’s Trade. The non-profit unofficial short film was released well before Solo: A Star Wars Story and to date has garnered over 2.4 million views on YouTube. Jamie Costa, who is best known for his Robin Williams impressions went viral, is the spitting image of a young Harrison Ford in the role of Han. And now he and his team are back for an Obi-Wan Kenobi fan film. Costa and his team have already shot test footage for the short, set between the prequel and original Star Wars trilogies. And he’s aiming to raise around $50,000 to produce the fan film. In the promotional trailer on Indiegogo, Costa teases: “In our story, we take a glimpse at Obi-Wan Kenobi’s life, while he’s on Tatooine overlooking Luke Skywalker and all kinds of adventures that happened before A New Hope. “We plan on pulling inspiration from the official journals of Ben Kenobi found in recent comics, as we tell a gripping new chapter of Obi-Wan’s story and jump into exciting new lore. While the short film’s synopsis reads: “After the rise of the Galactic Empire, the Jedi Knight Obi-Wan Kenobi vanished. “Now, on the desert planet of Tatooine, an ageing warrior who goes by the name of Ben stands silent watch over a special child who holds the fate of the galaxy. Fans will notice the first test footage appeared to be teasing a Darth Vader cameo, so perhaps Qui-Gon Jinn’s Force Ghost will also feature? Fans who back Kenobi: A Star Wars Fan Film, get perks based on how much they contribute from a custom Obi-Wan voice message all the way up to an Associate Producer credit. Meanwhile, Obi-Wan star Ewan McGregor has repeatedly expressed interest in an official Star Wars solo outing. The film was originally in the works but now is rumoured to be being made into a TV series for Disney’s new streaming service, Disney+, which launches later this year. 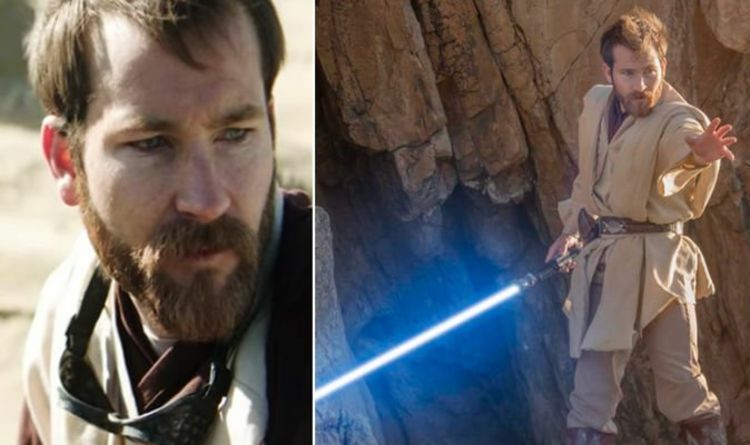 To find out more about Kenobi: A Star Wars Fan Film and the backing information, click here.